Another Christmas has come and gone. How in the world is that even possible? 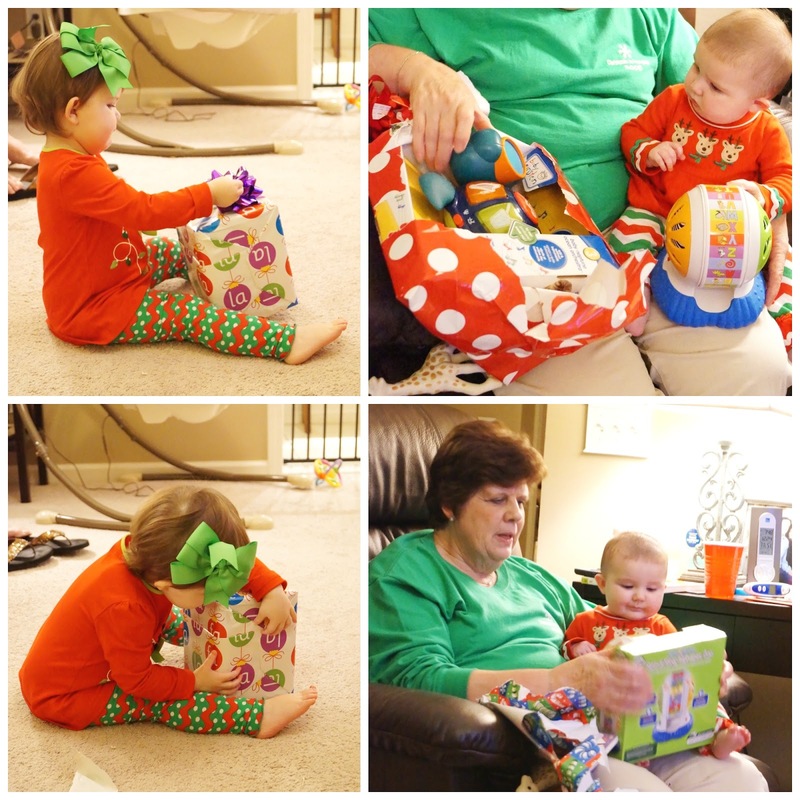 We got to experience another first Christmas this year; this time for Lenny P. While it was also the first Christmas, it was also the last "first Christmas" for our little family. No more babies for us, which is kinda sad and exciting at the same time. This Christmas was the first time to host my parents and my brother and sister-in-law during Christmas week. 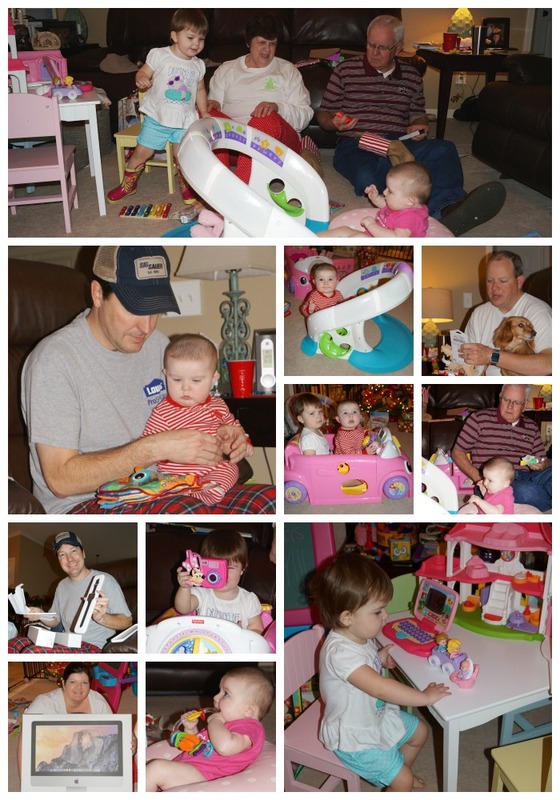 My brother and sister-in-law came a day early to get some one-on-one time with the girls. 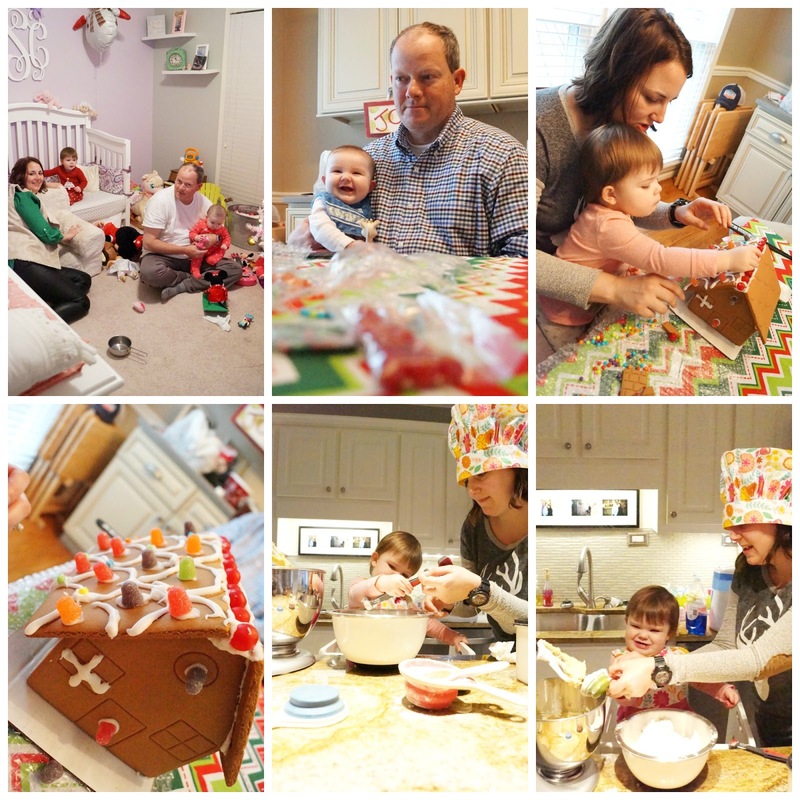 There was a lot of playing in Avery's room, gingerbread house decorating, and the baking of cookies. Chef Avery had to show off her skills in the kitchen, of course. The next day my parents arrived to really kick off the Christmas celebration. We all got a good nights sleep to get ready for a big Christmas Eve. 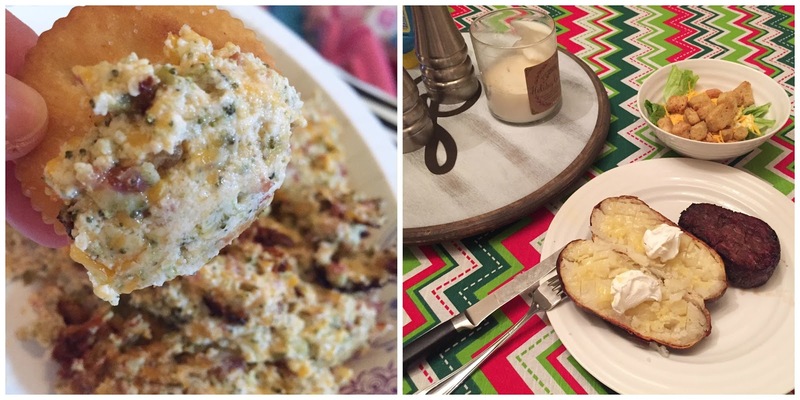 Christmas Eve was full of food and fun. Mom spent most of the day in the kitchen getting things ready for Christmas Eve dinner while most everyone else in the house took a nap. 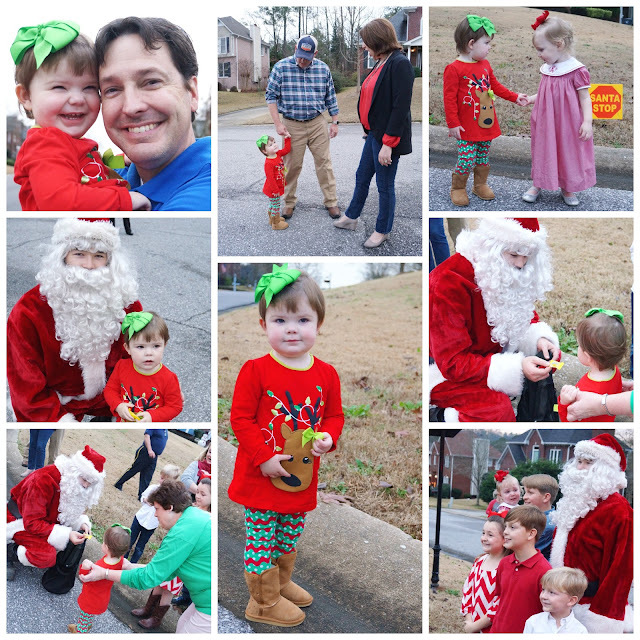 That afternoon we rushed up to the top of the street for our neighborhood Santa Stop. It's put on every year by the Fire Department, and this was our second year to participate. Avery loves to watch the fire truck pull up and see Santa hop out. We're thankful the rain held off so we could enjoy it again this year. We headed back to the house for Christmas Eve dinner that mom had been slaving away in the kitchen to prepare. Both of the ovens were going and the food was smelling delicious when I noticed it was hotter than usual in the house. Checked the thermostat and saw it was 76 in the house, when it was set at 72. So, we went ahead and ate our meal before dealing with the chaos. I've vowed for the past two years to break out my fine china which includes Christmas dishes, but I haven't gotten brave enough yet. Maybe when the girls are a little older. 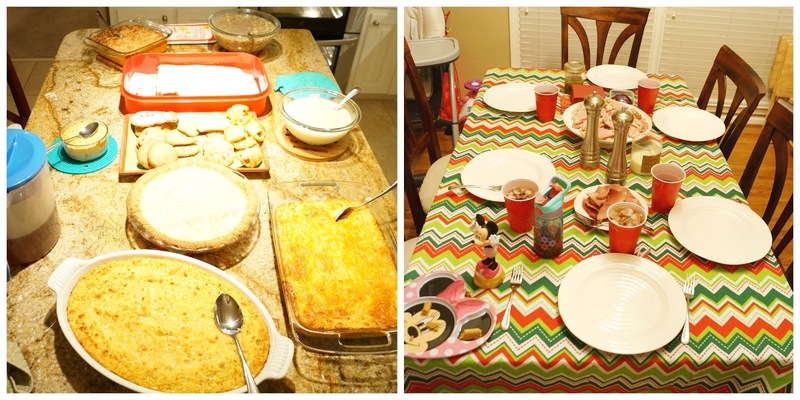 So we had a mixture of our everyday china, a Minnie Mouse plate and red solo cups. Nothing says an Alabama Christmas like red solo cups, right?! The men went down to check on the AC unit while we got everything ready for the opening of presents. When they came up, the news wasn't good. It was down for the count, and it being a holiday meant no one was coming to fix it anytime soon. However, we enjoyed family time in the living room watching everyone open their presents from each other. Christmas morning, Papa made pancakes while we waited for sleepy Avery to climb out of bed. She's not a morning person, and she gets it honestly. When she finally came in the living room, she just starred at all the presents. Not being fully awake, she didn't know what to think. She finally started walking around taking it all in. 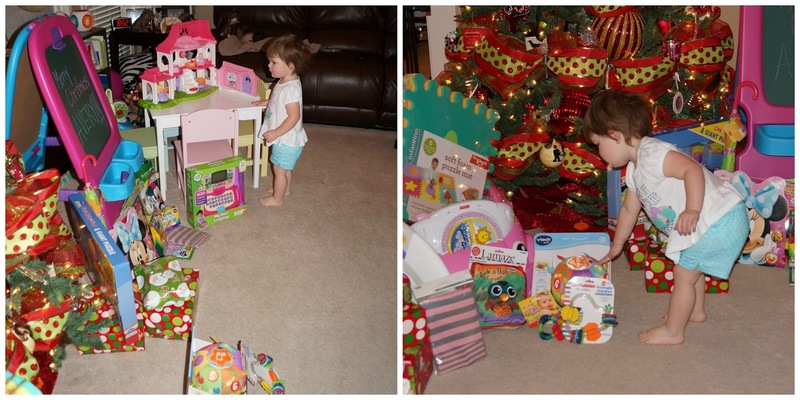 The girls love all their Christmas gifts, and it's safe to say they were all a hit. Terry got a new Apple Watch and some fun accessories to go with it. And I got a new Apple Computer; which I'm using for this blog post today! 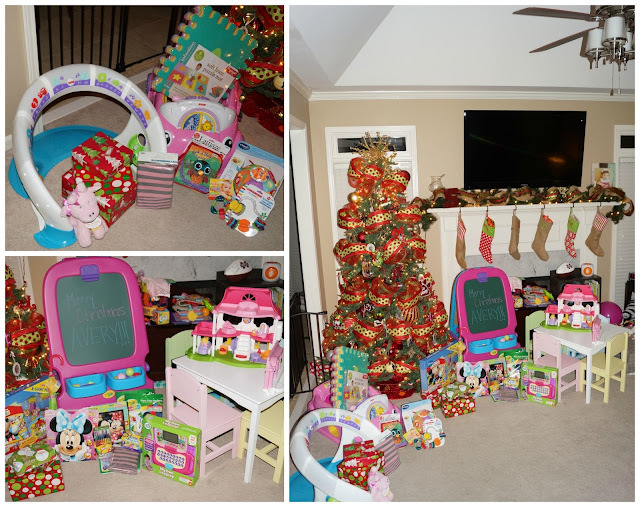 Ganny and Papa must have been pretty good all year too, because Santa left them goodies in their stockings. Now how in the world did he know where they would be Christmas morning? And MB, she got presents too! We spent the rest of the day trying to stay cool in the house. It got as high as 82, but we managed with ceiling fans and other fans positioned around the room. Our lunch equaled snacks and one of Plain Chicken's dip recipe that was cooked on the grill. Our dinner was also cooked on the grill; filets and baked potatoes. It's a meal I could eat each and everyday, but our bank account says otherwise. Ha! We ended the night taking cool showers to cool us down, and sleeping under fans with the promise of the AC repairman coming at 8am the next morning. Thankfully he showed right on time, found the problem, and had us cooling down within thirty minutes. A new unit will be installed Tuesday or Wednesday so... Merry Christmas, Happy New Year, Happy Valentine's Day, Happy Anniversary, Happy Easter, Happy Mother's Day, Happy Father's Day, Happy Birthday... and any other holiday we would celebrate, to US! 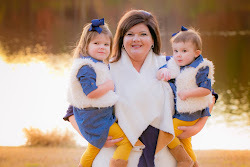 While this Christmas had it's turn of events that we weren't expecting, like a blowout on mom and dad's vehicle about five miles from our house, or the endless fevers from Avery, we had our best Christmas yet! So thankful we could celebrate the birth of our Lord and Savior, enjoy time with family that we don't get to see that often, and see the joy of Christmas through the eyes of our girls. We hope your Christmas was very Merry and Bright!